However analysts are still saying the company is 'playing catch up' with rivals. Google is increasing its spending on new technologies including cloud as it looks to take on some of the biggest rivals in the industry, the company's latest earnings has revealed. 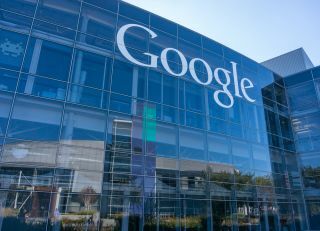 During parent company Alphabet's recent Q1 earnings call, the company said it spent $7.67 billion on capital expenditures - a 200 per cent rise compared to the same period last year, and a further 100 per cent compared to the fourth quarter of last year. Half of this spending seems to have gone to purchase new cloud and consumer-device businesses. The other half, according to Alphabet’s Chief Financial Officer, Ruth Porat, has gone to the purchase of the Chelsea Market facility. Speaking about the capital expenditure amount that went on computing, the CFO said the largest part of it “is for machines that incorporate the latest technologies, and we’re also investing in data centre growth and increasing network capacity through undersea cables,” Porat said. Writing to investors, Brian Wieser, an analyst at Pivotal Research Group, said the “big story” of Q1 is the “significant rise in expenses”. The media are concluding that the company is actually trying to catch up to some of the biggest rivals in the cloud and consumer electronics industries, namely Amazon and Apple.